Visualization refers to the practice of seeking to impact the outer world by altering one’s thoughts and expectations. Visualization is the fundamental technique underlying positive thinking and is frequently utilized by athletes to enhance their performance. 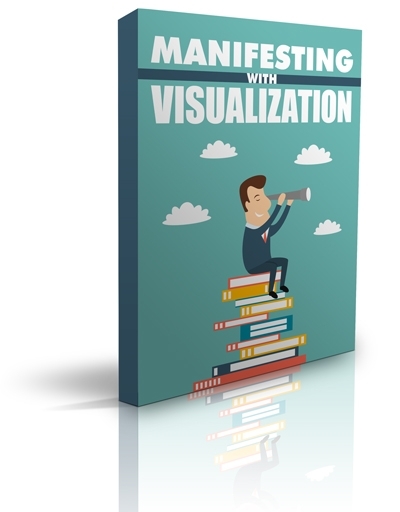 Visualization is the technique of utilizing one’s imagination to visualize particular behaviors or events occurring in one’s life. Advocates propose producing a detailed schema of what one wants and then visualizing it again and again with all of the senses (i.e., what do you see? what do you feel? what do you hear? what does it smell like?). For instance, in sports a golfer might visualize the perfect stroke again and again to mentally train motor skills memory. It has since gotten to be more widely understood and accepted in neuroscience and sports psychology that subjective training may cause the body to react more favorably to consciously desired results. Manifesting is a means of empowering us. It enables us to take control of our lives rather than simply leaving it to chance and fate. It presents us the power to transform our thoughts into something that is true and material to us. By learning these ancient secrets of manifesting, you are able to remain centered, peaceful and focused on what you DO want to think, feel and experience. From this place, you’ll discover that your greatest dreams and desires will manifest into your world.